We seem to be busier than ever in today’s fast paced world. Whether it be the extra time that needs to be spent at the office or on the job site, picking the kids up at school or practice, getting away with the family to use that time share, or one of an almost endless list of “to-do” items. The importance of convenience, transparency, and ease of doing business has become increasingly more apparent. For that reason, Insuring Income has put in place various technologies to allow people to obtain instant life insurance quotes from their iPhone®, Android® device, iPad®, or any other mobile device or tablet. Running an instant life insurance quote at our website can be done in as little as 10 seconds. Simply enter your date of birth, what you believe your health status to be, the state that you live in, along with the amount of life insurance that you are looking for and the type that you need. Click “Submit” and there it is…..Quotes from all of America’s lowest cost life insurance companies. The days of having to call multiple companies or agents are over. Transparency, simplicity, no nonsense life insurance quotes. From there, either do some window shopping to get an idea of what is available or start the application process. Click “Send me an Application”. We will automatically, within minutes, send you the forms that can be completed and signed. No phone call necessary. No face to face meeting necessary. We can work with you in any state and we can work with you at any point of the day or week, 24/7, 365. 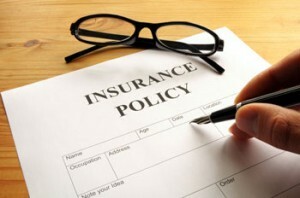 The process for getting instant life insurance quotes and for applying is simple. Feel free to arrange a call or face to face meeting if you prefer. The underwriting process can then commence and we will work with the various life insurance carriers to obtain the absolute best health rating possible. You might even be surprised to see what we find. Do you currently have a policy in place with a Preferred rating? Were you told that is the best health rating that you can have? What if we come back with a Preferred Plus rating from the research and pushback that we do on your behalf with the life insurance companies? That would be a win-win. You win because your life insurance rates drop. We win because we have another happy client that can tell a friend or send someone to our site for the same high level experience and level of service. Take a minute, whether you are on the train heading to or from work, if you are in line at the grocery store, sitting watching your kids play their favorite sport, or wherever you. Although life insurance is not something that we all want to be thinking about too often, we all know how important it is to have the proper level of protection in place in case you don’t come home from work, or you don’t make it home from that vacation, or one of the countless other things that can kill us strikes.